Have you taken a peek outside your window? Watch as the sun shines through the glass or the rain trickles down the pane? The world outside your window is so beautiful an absolutely inspirational place. And where nature lies, there is a potential for exploration. As trekkers and adventurers, the Great Outdoors is our haven. It provides a sense of fulfillment and serenity. As you trek up every mountain in the world, the idea of becoming ‘one with nature’ becomes an actuality, it becomes a reality. Trekking does just that. Being one with nature means you become more aware of your surroundings. The crisp breeze carrying leaves past and tickling your neck or just the snaps and cracks of twigs at your feet. Every sense strengthens and a peaceful calmness pushes all your worries away. Trekking has many health benefits too. It is proven to boost creativity, and helps those suffering depression. We all can self-help a bit by hiking, whether it be just dropping the technology at the door for a few hours, or getting some much-needed exercise, the nature awaits. As trekkers, we trek not to escape life but for life not escape us. Our hectic and busy lives do not always give us the luxury of time to realize that we are just merely surviving and not living. Sometimes we need to give ourselves the happiness and freedom that we all deserve. So why stay in the four corners of our room? How often do you find yourself rushing from one point to another? Doing something with no time to breathe? Whether you are building your own business, assuming family responsibilities, doing the stern work, or climbing the corporate ladder, it is really easy to get caught in a mundane scripted life. Is it? Spending a few days and or a full week off the radar and away from corporate world … that was exactly the way things were, when you were just a kid. It actually feels quite good being carefree once more – away from worries of this digital age, enjoying the simplest form of life, at least for a while. Disconnect once in a while and give yourself the freedom you deserve. Do not rush things up, slow down! You’ve been running too fast already that you might forget what matters and who you really are! Just breathe, for life is not meant to be a time-table. It’s meant to be lived the way you wanted it to be and thrive by your own rules! Trekking offers us the freedom to choose which trail to follow which results in discovery of new terrains also reaffirms the fact that we are traversing into nature and we must be vigilant of our freedom. It’s essential to make sure that we are fully equipped, in proper attire for our treks and prepared for the extremes both physically and mentally. We need to make sure that we carry sufficient supplies like food, water, little snacks (trail food) like glucose bars, peanuts, jelly ace, to munch on in case we feel hungry along the trail. We need to ascertain also that we carry medication and are aware of the weather condition. Thus, even though trekking makes us free, it reminds us that we have to be responsible for ourselves and to others when they are trekking with us, and to the environment as well. We need to maintain certain levels of discipline when trekking. Also, we need to respect nature and ensure that we would be responsible enough as travelers and don’t do anything to spoil the purity of a landscape – practice the leave no trace principle. 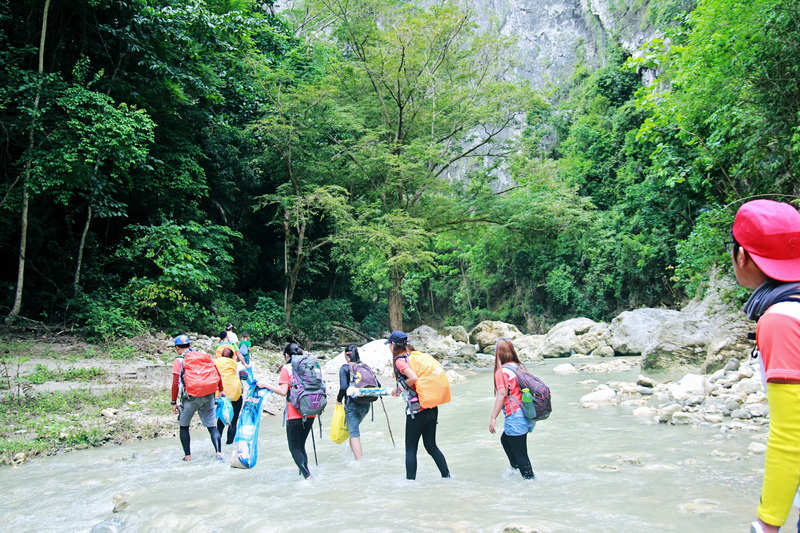 We need to be extra careful in arduous terrains and unexplored rivers as well as look out for our fellow trekkers. These teaches us a feeling of responsibility, leading to a sense of discipline. This doesn’t only help us in our treks, but greatly reflects on how we handle things in our daily lives. Whether it’s your relationship with a friend, a lover, a family member, or a coworker, committing to a long and exhausting trek together will put any relationship to a test. This will test how will you react to each other’s whining, mood swings, temper, bad odors resulting from the lack of showering. Treks can be really tough and may bring out the worst in us. Will we still love and care for one another after seeing each other’s dark sides? Would those shortcomings affect how we treat each other after the trek? Most often than not, we can really see the best or worst in people in times like these. Your trekking company really matters; it will be one great deciding factor if your trek will be impeccably amazing or dreadfully depressing! 4. Helps you lose weight and stay fit! Who doesn’t want to burn those extra calories? Trekking doesn’t require a vigorous training method as such. It’s said that if you can walk, you can most certainly trek. However, since trekking involves climbing mountains, jumping over boulders, running over small streams, crossing treacherous passes by the use of ropes, it requires us to exert a lot more than how we usually carry out our day-to-day activities at home. Trekking at high altitudes, makes it a more grueling task due to the thinning oxygen levels. Thus, frequent trekking helps us work our muscles and keep our body fit. While trekking, your entire focus is on the beauty of the surroundings that you get exposed to. You will focus on the mesmerizing scenery on the course of your jaunt. You tend to forget the fact that you are actually burning calories in the process. The whole experience of walking in the glory of the mountains is extremely relaxing and refreshing. Sometimes, going into the gym won’t help, instead of losing weight you will end up getting more! In trekking, aside from fun and excitement it brings, it is also a very challenging and physically exerting task which involves excellent coordination of muscles and bones. Such physical effort helps us lose weight fast, and trekkers almost never gain concerning amount of weight because physical fitness doesn’t just become a goal to achieve an appealing look, but rather it becomes a lifestyle. In fact, trekkers focus more on being healthy and enhancing their endurance levels rather than looking thin. This approach is better as it has a long-term effect of losing extra pounds and also keeping it off! So, ditch the gym and trek! When you choose a trail for trekking, there is a possibility that you’ll meet people who are out to feed their hungry souls just like you. It is highly likely that you will come across like-minded people who share your enthusiasm for the unknown, and if you’re lucky to meet experienced trekkers, you will get the chance of hearing their amazing stories. The stories of experienced trekkers are almost gallant and may benefit you up to undertake the journey even more! So don’t be shy to approach trekkers, small talks won’t hurt, they will most likely welcome you with open arms. I found the moments in between the actual hiking most delightful. Playing around with other trekkers and interacting with the locals, sitting around during socials or getting to know sessions while sharing stories, exchanging trek experiences, listening to the sounds of nature, looking up at the millions of stars – all those things are just simply Priceless. Following the same routine everyday can enervate our brains and make us internally demotivated and dull. As the famous Tyrion Lannister in Game of Thrones had said that just as a sword needs a whetstone, our minds need new challenges that will excite us and affect our hearts in a good way. Trekking offers a lot of challenges that will in turn help our minds stay sharp, healthy and more creative! We usually go for the trails that have been established by previous explorer. But many often find the courage to traverse through the off-beaten paths only to discover something new and even more breath-taking view and exhilarating experience. Trekking offers you the opportunity to chance upon something interesting that made anyone compelled to explore into uncharted terrains. Don’t be afraid to take the road less traveled, but do it responsibly. The more pain you felt on the trek and the more horrible moments you had, the better the story will be. The great experiences, the sliding moments, the trek under the rain or storm, the creepy experiences, the dreadful night treks, etc, these are all the ingredients to have a well-cooked story that you can share in dinner parties. The funny moments, the mistakes you’ve done can make it more interesting. The more you go on trekking, more and more stories you’ll have. At least you’ll never run out of some funny anecdotes to tell to anyone. Trekking can be both an exhilarating as well as a frightening experience! It truly rejuvenates us from within, but at the same time, it can also be a little intimidating to face nature in its raw, pristine form. This can especially be true for amateurs. In such cases, it’s important to remind ourselves that everything is going to be all right, and we need to find our motivation and keep going further. Not only do we push ourselves to go ahead but we also help others to move along with us. This reflects upon our leadership qualities, which may have been concealed, and thus polishes it more. You’re far from civilization and the only thing you can embrace is the serenity of the world. “You get a chance to meet people from diverse backgrounds, and build lasting relationships. The purity of the mountains teaches us to embrace experiences, cultures and relationships that are outside our comfort zone”. Trekking humbles you enough to learn that it’s not all about you. You are often put in challenging situations that make you realize that the world is so much bigger than your perspective on it. You weren’t really the big fish in the ocean but a tiny minnow in a pothole. With no showers, enough water supply, electricity, good things to eat, your favorite kind of entertainment, warm and soft bed, your friends, love ones or family around, remind you of all the great things you have in life. It’s a fantastic feeling to return home and be so thankful for everything you have. “You don’t know what you’ve got till it’s gone”, right? You’ll never get this close to nature anywhere else but through trekking. Truly. It is an attractive way of travelling. It’s Real! Yes, the experience is unscripted and filled with so much excitement and full of surprises. Take a chance and see the world without any filter. The views along the trail and the undiscovered spots you get to see are ones that no world class tour can even promise. I have seen trekkers burst into joy every time they see a fascinating view, and so I am. It’s like magic that makes all the exhaustion gone away in an instant. The mountains have the ability to touch everyone’s heart and soul if you just let them. It’s one of the most beautiful feeling you could ever get. Finally, trekking is a momentous experience not only because it is exhilarating but also because it is a reminder that place we occupy in this world is so small and that we are at the nature’s mercy. This helps us see the larger picture as we realized that we should not worry too much over trivial matters. This will help each one of us in developing a healthier approach towards life. It is an experience that once you’re hooked into with, you can’t stop and keeps wanting for more! If you are into trekking now, join us. Let’s chill together in our treks and create lasting memories together… See you in the mountains! “It will test how strong the relationships you’ve had”. Beautifully written and quite apt too! This is definitely something that I should start doing. Someday soon. 🙂 Thank you for this inspiration. Trekking is life! We hope young kids/teens would enjoy and experience the outdoors. We actually pity their unhealthy lifestyle today—-being glued to their phones and tablets, staying in the mall as their only way to enjoy life, trying to be sosyal, etc. Couldn’t agree more Sir. Most if not all of the young gen are really glued to technology and mostly dependent na on it. But sometimes, the selfish and evil me just wish that it is better if they stay with their current lifestyle than spending time outdoors and cause more damage by not practicng responsible tourism and not observing the LNT principles. If we could just educate all about it with the blink of an eye, wa na unta tay problema sa atong tourist spots and mountains . Trekking can also give you a sense of fulfillment. .